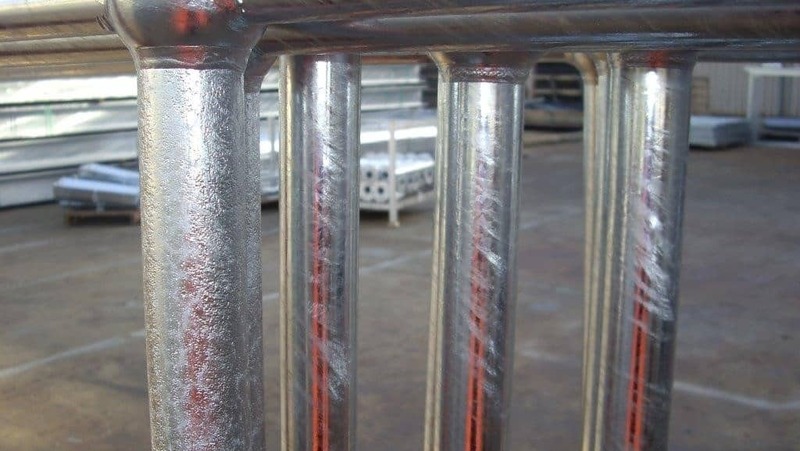 Hot dip galvanizing is a functional coating process providing superior protection against corrosion for steel articles when measured against most other coating systems. 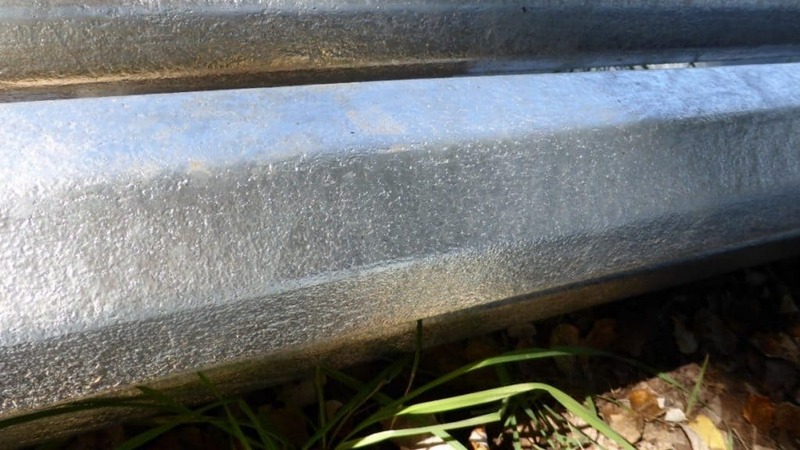 There are many factors which influence the appearance of a galvanized coating, with some examples of possible appearances seen in The Aesthetics of Hot Dip Galvanizing. The commonly seen differences in initial appearance can rarely be controlled by the galvanizer, with the steel quality, steel chemistry, design, and fabrication playing a large role in the appearance. Attempts to improve the initial appearance must be added to the specification during the design phase, as the steel must be in the desired condition when it arrives at the galvanizing plant. Certain elements, in particular silicon (Si) and phosphorus (P), in the steel can affect the thickness of the coating by prolonging the reaction between iron and molten zinc while the steel is submerged. This causes the zinc-iron alloy layers to grow at a faster rate and produces a thicker coating. This characteristic was first described by Sandelin in 1940, with the graph below showing the effect of silicon content on the typical zinc coating mass. The way the steel is produced (e.g. whether hot rolled or cold rolled) can also affect the chemistry at the surface of the steel and influence its reaction with molten zinc. Therefore, certain steel compositions achieve more consistent appearance, thickness, damage resistance and smoothness, as shown in the Table below. X Si ≤ 0.010% Excellent, typically shiny Excellent Minimum. Si+2.5P ≤ 0.090% Excellent, typically shiny Excellent Standard. Cold rolled Si + 2.5P ≤ 0.04%. B 0.14% < Si ≤ 0.25% Good, can tend to mottled or dull with increasing steel thickness Good Always heavier than normal. Steels in Category X (Si ≤ 0.01%) are deoxidised with aluminium in the manufacturing process instead of silicon (known as aluminium fully killed, fine grained steels). These steels sometimes produce coating thicknesses under the AS/NZS 4680 requirements using normal galvanizing processes. They will also usually produce the shiniest initial coatings following withdrawal from the molten zinc bath. For steels known to produce thinner coatings, abrasive blasting the steel surface prior to galvanizing will increase the steel’s surface area and usually produce a thicker coating. 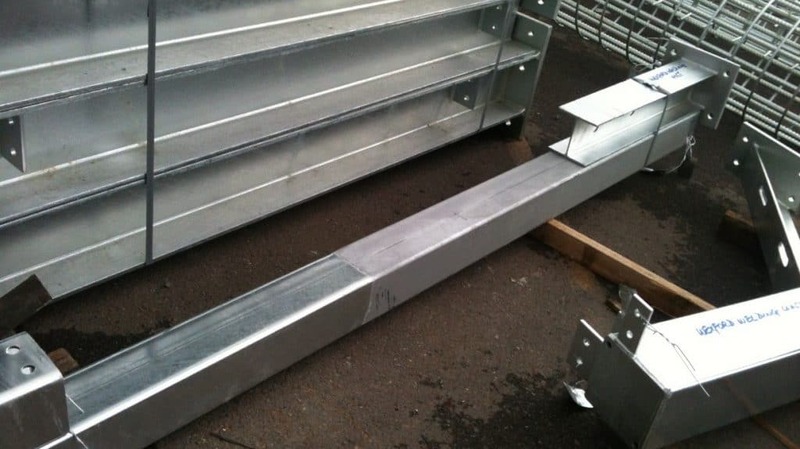 This may change the appearance of the galvanized article and/or increase the roughness of the finished surface and will increase the cost of the finished article. It is therefore best practice to consider the durability requirement of the article prior to requesting blasting of the steel if the coating thickness achieved without blasting will meet the specified design life. The initial appearance of the hot dip galvanized coating varies depending on the chemistry of the steel. 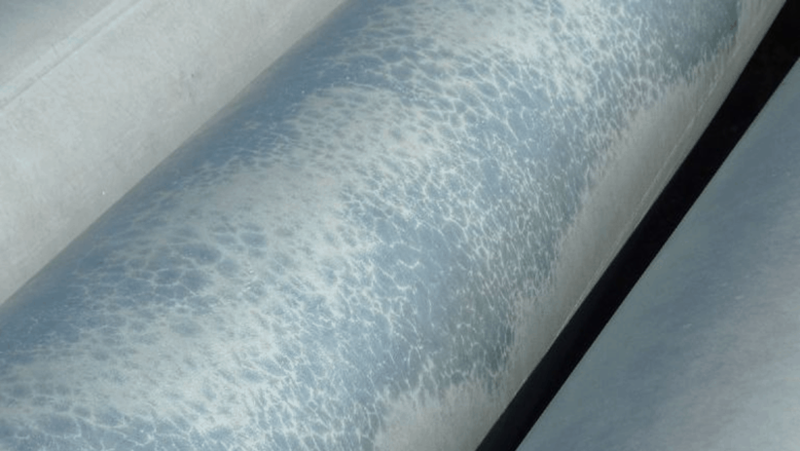 If the steel is reactive, the shiny pure zinc layer at the surface of the coating can be partly or fully consumed, leaving duller grey zinc-iron alloys at the surface. Steel in Category X and A are less reactive and usually have a pure zinc layer at the surface, giving a shiny initial appearance. With steel in Category B, the zinc-iron alloy layers can grow to the surface in some places, leading to an appearance that resembles a spider web or cell like structure. 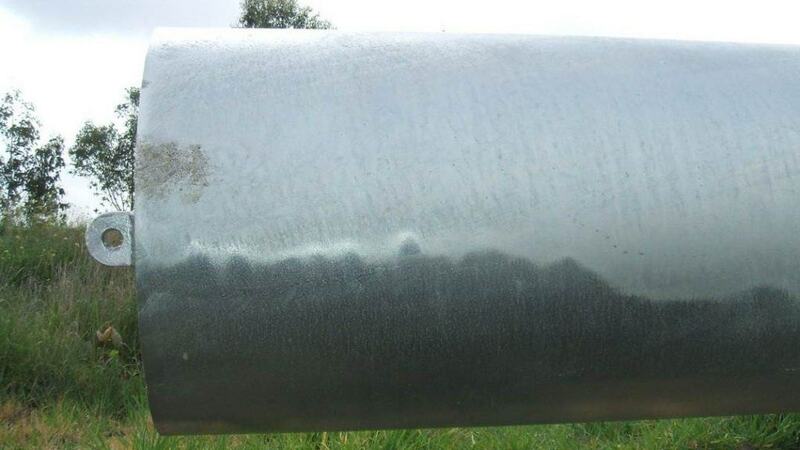 Although the coating may have a “cracked” appearance, the coating is continuous, intact, has no influence on corrosion protection and complies to Australian Standards. If the steel is in Category C or D the alloy layers typically grow to the surface giving the entire article a dull grey appearance. All galvanized coatings change over time to a matte grey colour as the zinc reacts with the environment and initial inconsistencies in the appearance of the coating will mute and often disappear altogether. Steel chemistry can sometimes affect the coating’s resistance to handling damage, with more reactive steels being more susceptible. 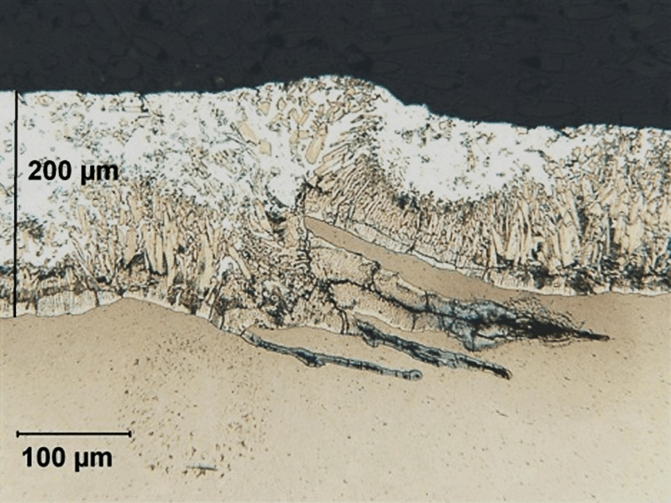 The thicker coatings (usually >300 µm) made up primarily of harder but more brittle zinc-iron alloy layers have a higher chance of peeling or flaking when subject to impact along sharp edges. 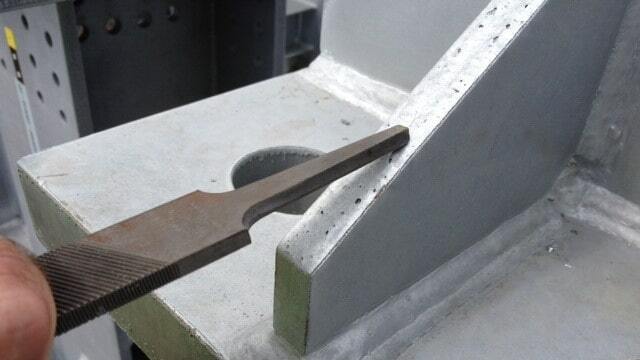 Roughness of the coating can also be impacted by steel chemistry, usually with steels above 0.04% silicon content by mass, or with a phosphorous content above 0.025% being susceptible. The condition of the steel’s surface contributes to the initial appearance of galvanizing, with the surface of the galvanized coating typically matching or amplifying the surface profile of the steel. This can occur if steel is suffering from pitting corrosion before being galvanized, with the coating following the corroding pits. If there are any rolling defects in the steel created when the steel is being manufactured, a rougher coating can be obtained. 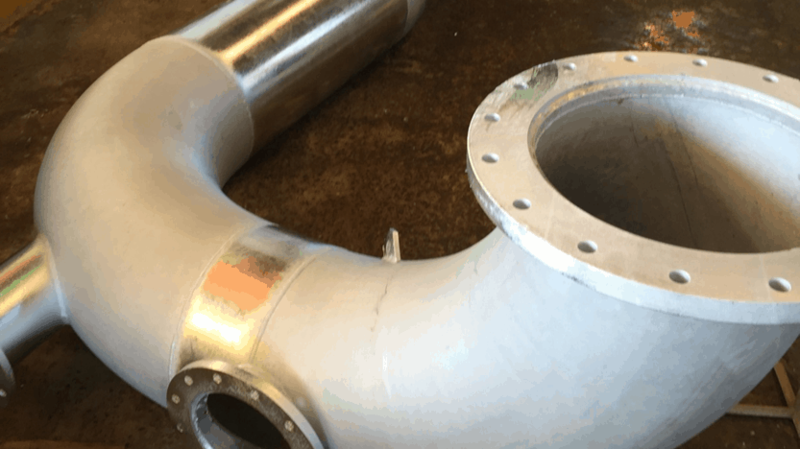 On larger members (typically larger pipes or hollow sections), a differing appearance can occur on the top and bottom of members. While the part is being withdrawn from the molten zinc bath the bottom surface is kept at a higher temperature for longer due to the radiant heat coming off the bath. As a result the zinc and steel on the bottom half of the member continue reacting and form duller zinc-iron alloy layers at the surface, with the top surface retaining a shiny pure zinc layer. Cutting at high temperatures, including with flame, laser and plasma, can affect the appearance and thickness of galvanizing. The high temperature of the cutting procedure consumes the reactive silicon and phosphorous from the steel’s surface, resulting in a thinner and sometimes brighter galvanized coating. Thermally cut edges should be ground back before galvanizing to remove the surface steel and achieve a uniform coating. 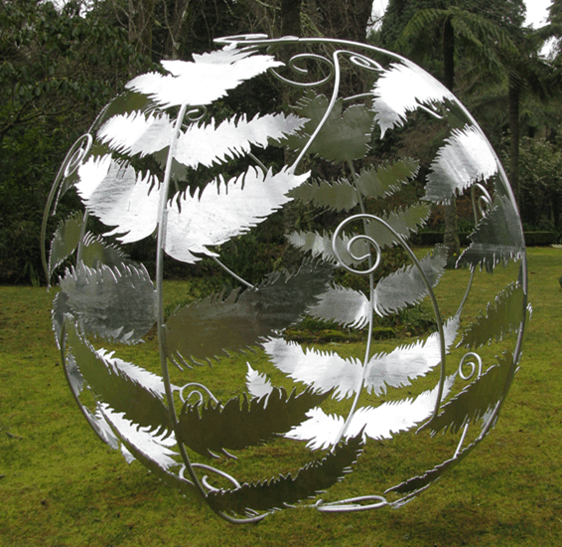 The design of a fabrication can influence the initial condition of galvanizing. Adequate venting and draining along with minimising thickness variations where possible are important for a consistent initial appearance. Venting and draining are essential for hollow sections to prevent explosions when air and moisture become superheated in the bath. Vent and drain holes should be located as per the GAA’s best practice for venting and draining guide, with a hole diameter at least 25% of the section’s diagonal. 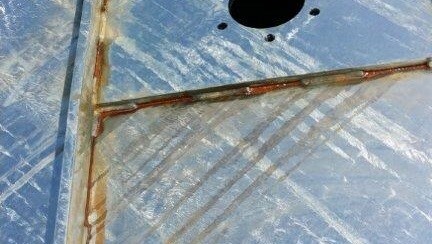 If vent holes are too small, lumps or runs can form on the surface of the galvanizing as the zinc has to flow out slowly during withdrawal from the bath. Slowing the speed of withdrawal in an attempt to combat this can influence the initial appearance in other ways, such as a duller bottom face due to differential cooling. Ideally, thickness variations in fabrications should be minimised to help avoid distortion and limit variations in initial appearance. Thicker steel usually retains heat for longer, allowing the reaction between the zinc and steel to continue for longer and resulting in a duller appearance. The fabrication of hot dip galvanized articles has a significant impact on the initial appearance. 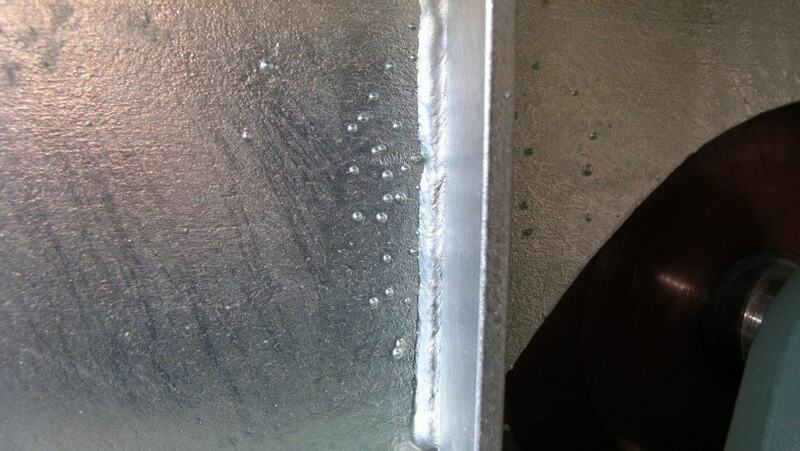 Any roughness created on the steel’s surface, such as small beads of weld spatter, will remain visible in the coating after galvanizing and should be removed if aesthetics are important. Oil based anti-spatter sprays or markings usually cannot be cleaned during the pre-treatment process and can become an invisible surface contamination that create bare spots in the coating. 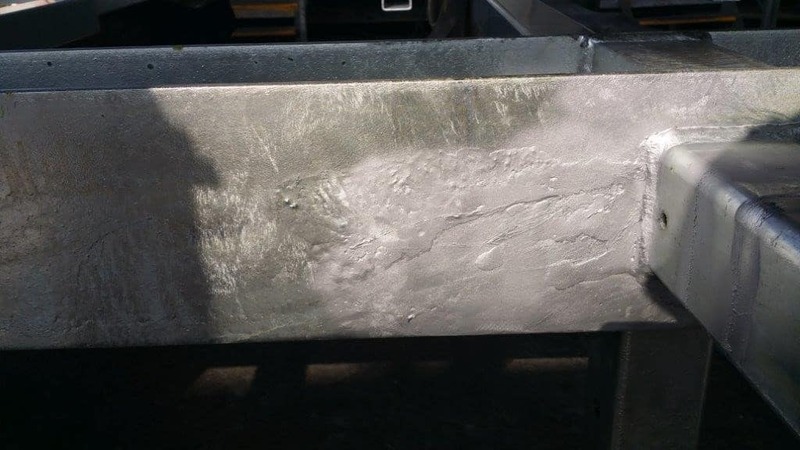 Porous welds can impact the initial appearance of galvanizing, with pre-treatment chemicals penetrating pores that the more viscous molten zinc cannot. 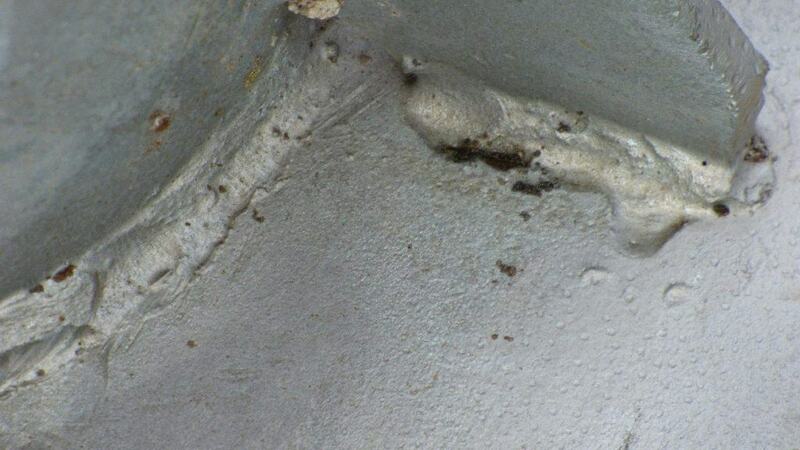 This can cause rust to form in the pores and be visible at the surface if the porosity isn’t ground down and repaired. 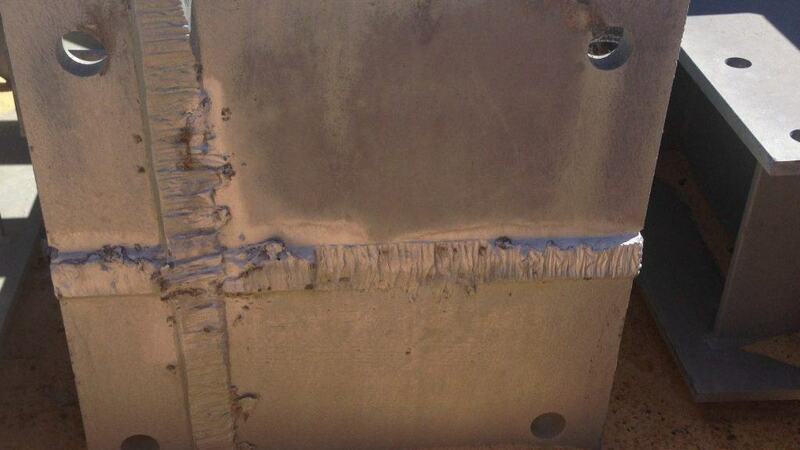 Similarly, if too small a gap is left between overlapping sections and intermittent welding is used, pre-treatment solutions that penetrate the gap can blow out and contaminate the surface, causing bare spots. 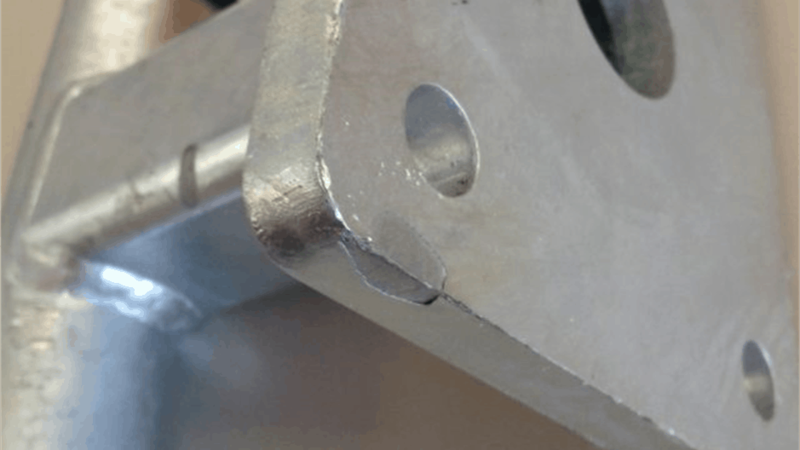 If a 2.5mm gap isn’t left between faces being stitch welded during fabrication to allow the zinc to penetrate, rust can bleed from the crevice, which usually requires cleaning followed by sealing with silicone. 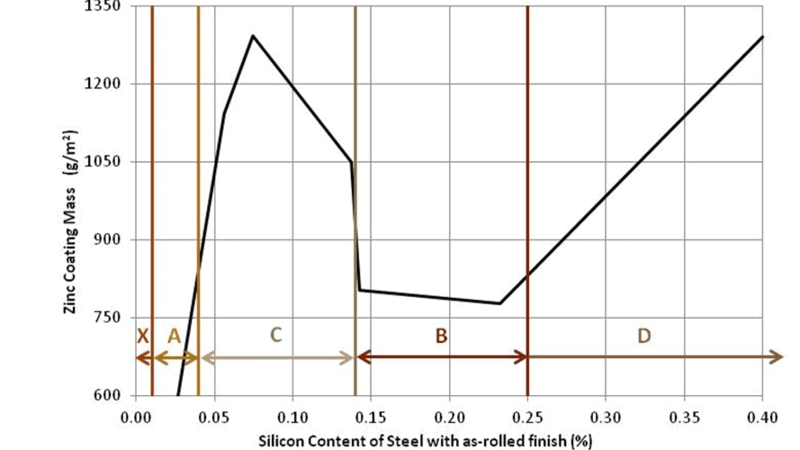 Mixing steels of different chemical compositions during fabrication can lead to wildly different initial appearances between adjacent areas, despite the whole article being dipped together for the same amount of time. 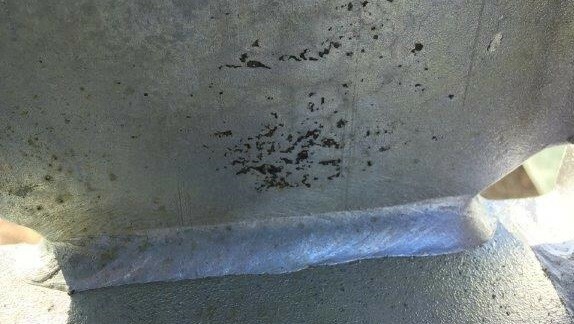 This can also occur when using a weld metal much more or less reactive than the steel being joined, causing a large variation in thickness and appearance. The primary purpose of the coating is to protect the underlying steel against corrosion. Considerations relating to aesthetics or decorative features should be secondary. 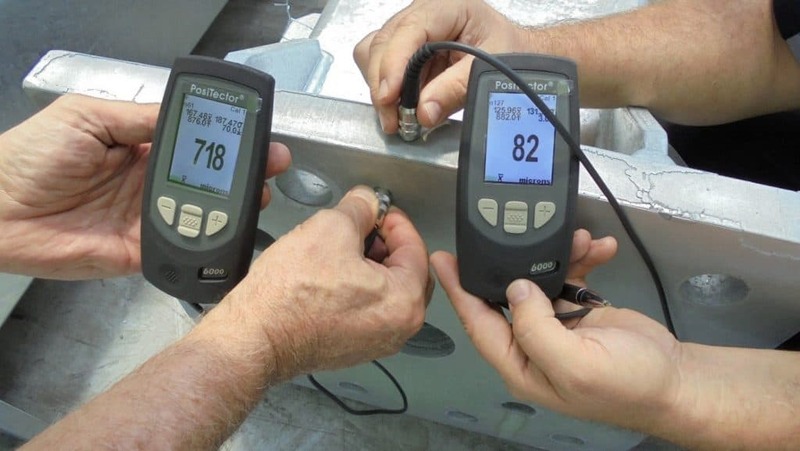 Where aesthetics are important or where particular coating thickness, materials handling, or surface smoothness criteria exist that are additional to the requirements of AS/NZS 4680, the galvanizer must be consulted beforehand to determine acceptance criteria and potentially galvanize a sample to see whether the requirements can be met. Achieving a desired initial appearance requires proper steel selection, design, fabrication and specification, as once the steel is submerged in the galvanizing bath the reaction between the zinc and steel progresses naturally and cannot be influenced by the galvanizer. Specialist advice on steel selection should be sought prior to fabrication of the article or hot dip galvanizing. Steels with the chemistry shown in Category A & B in AS/NZS 2312.2 usually provide the best results for aesthetics and corrosion protection respectively. Where possible, using steel from the same Category or the same heat number should help achieve a more uniform initial appearance. Most Australian-made structural steels comply with the minimum coating thickness requirements of AS/NZS 4680, regardless of the steel’s chemistry. The design and fabrication of the steel should follow the advice given in the GAA’s best practice for venting and draining guide, to increase the chance of achieving the desired appearance. 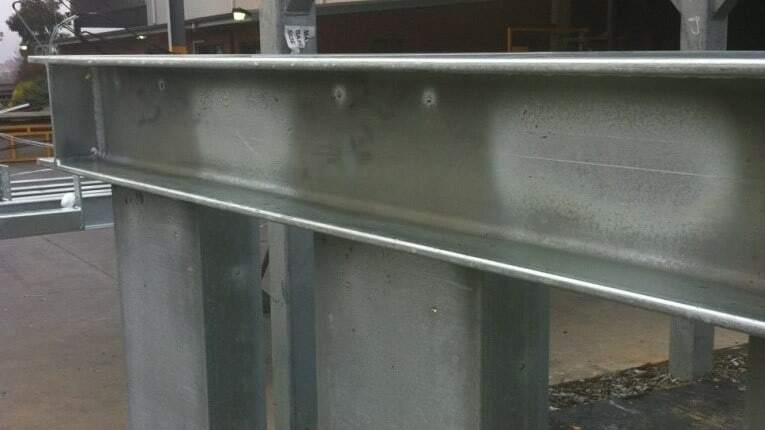 Including aspects form the Australian Steel Institute’s Architecturally Exposed Structural Steelwork (AESS) Code of Practice, or specifying an AESS class from AS/NZS 5131, Structural steelwork – Fabrication and erection, can help achieve a more desirable surface finish but may add considerable cost. These specifications include removing burrs, fins, weld spatter, welding slag, opening and smoothing pits, any indentations, craters or gouges, and abrasive blasting to at least class Sa2 to achieve a more uniform surface. Requirements such as lifting and transporting with slings instead of chains and storing articles off the ground can be included in the specification to prevent damaging the coating.